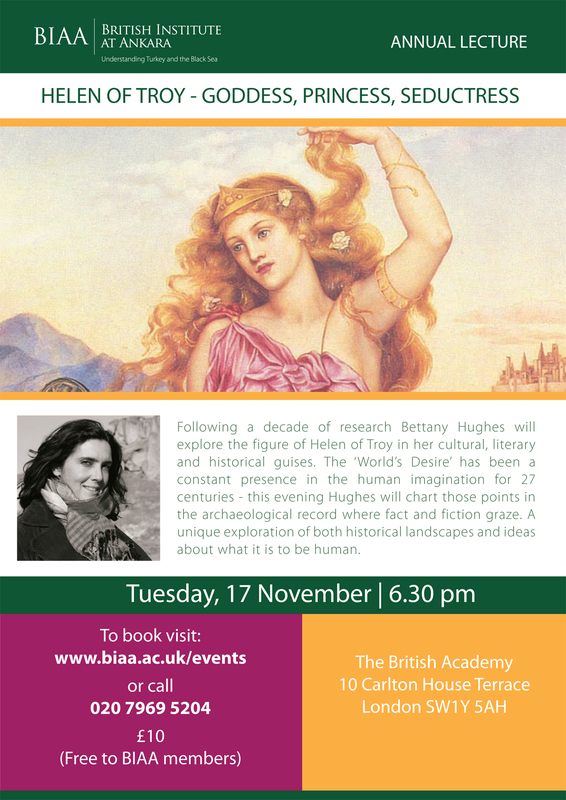 Bettany Hughes will give the Annual Lecture of the British Institute at Ankara, titled “Helen on Troy – Goddess, princess, seductress”. Following a decade of research Bettany Hughes will explore the figure of Helen of Troy in her cultural, literary and historical guises. The ‘World’s Desire’ has been a constant presence in the human imagination for 27 centuries – this evening Hughes will chart those points in the archaeological record where fact and fiction graze. A unique exploration of both historical landscapes and ideas about what it is to be human.